Multi-housing property owners and managers are always seeking ways to entice new tenants and retain existing renters. One popular and successful way to accomplish this is through laundry leasing. Adding a new onsite laundry equipment facility to your property could help you to not only attract new tenants but also retain existing renters, all vital components to a profitable business. In fact, surveys from The National Multi Housing Council state that almost 90 percent of renters place an onsite laundry facility in their top three of requested amenities when searching for a new rental. Adding a new laundry facility onsite is not the only way to take advantage of laundry leasing. You can also upgrade an existing facility within your multi-housing property in Orlando. Removing slow, older models of laundry equipment and replacing them with affordable, technologically savvy pieces not only excite renters, but will also decrease waste and electricity on your end. This could mean a potential decrease in your overall water and energy costs. Newer machines also have quicker washing cycles and are more effective when it comes to deep cleaning fabrics, making tenants happy. If you are contemplating leasing equipment in order to upgrade your property, you will have to decide if card or coin operated machines work best for your facility. Our skilled laundry representatives can help you determine which option is more appropriate for your tenants, budgets, and needs. Our traditional coin operated machines come in a wide variety of models, sizes and prices, all available for laundry leasing. We use high capacity coin vaults, which allow a large amount of coins to be held at one time. These vaults are also constructed using theft and tamper resistant materials, and are designed to reject international coins, slugs and other objects. Using coin operated washer and dryer equipment also allows you to increase price loads per wash based on different coin amounts. SmartCard technology has also become quite popular for mutli-housing laundry in Orlando. With this newer technology, tenants just have to swipe a card in order to use the equipment rather than carrying around cash and coins. If you select this option, a CleanPay Kiosk will be installed in your facility that will allow tenants to fill their SmartCard using their debit card, credit card, or cash. Not only does this system makes the laundry process easier for tenants, but it will also save you time when it comes to bookkeeping thanks to an automated report that is generated through the Kiosk. Once you have decided if coin or card-operated washer and dryers will work better at your facility, you can decide which brand will work best for your needs. At Commercial Laundries in Orlando, we have over 50 years in the business and understand the ins and outs of every laundry brand available. 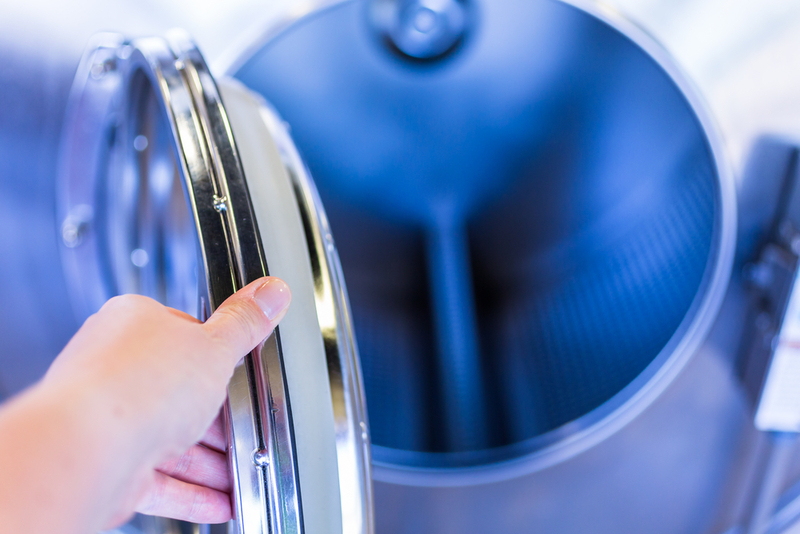 We continue to work with companies such as Whirlpool, SpeedQueen and Maytag because of their continual commitment to building top-notch, reliable and strong machinery. Laundry leasing in Orlando with us also offers you specific benefits you won’t find elsewhere. For instance, all of our lease clients receive ongoing free maintenance on their selections in order for them to work at top performance for the lifetime of the lease. In addition, we provide delivery, installation, and can also remove your old machines if necessary. Isn’t it time to upgrade your multi-housing property and offer tenants the amenity they are searching for? Let us help your rental property stand apart from the rest with a technology-advanced onsite laundry facility. Contact Commercial Laundries today at 407-986-1410.